An emaciated horse that was living under Bethany Jewell’s care. 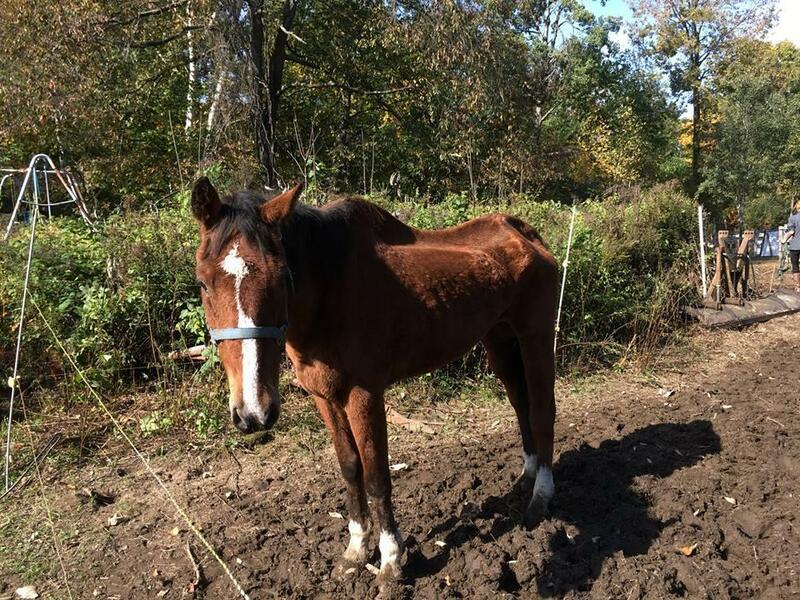 A 39-year-old woman was arrested on animal abuse and neglect charges after allegedly failing to properly care for horses and oxen that lived on her home’s property in East Deering, N.H., police said. 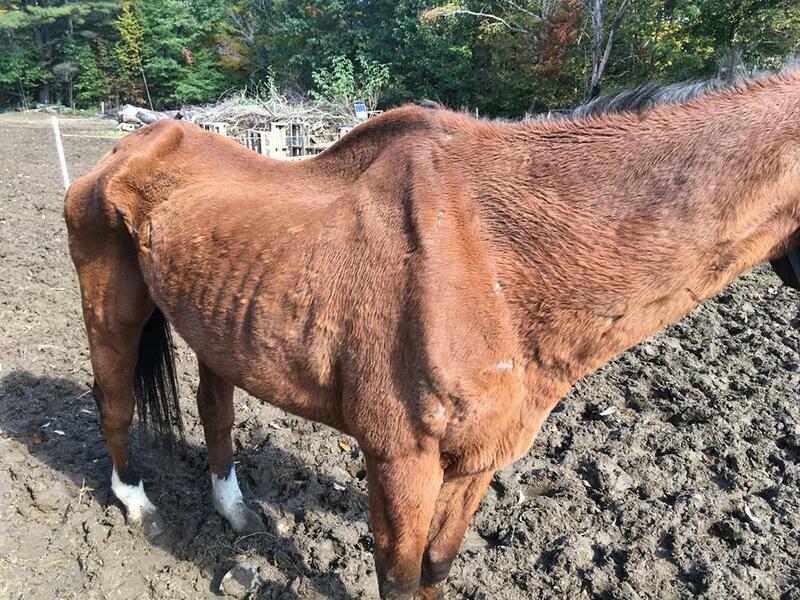 Bethany Jewell, of Deering, had five horses and two oxen under her care that were clearly emaciated, Deering Police Chief James Pushee said Thursday in a telephone interview. One of the horses had significant injuries, all of the animals hooves’ were not properly taken care of, and there was a lack of evidence of medical care, Pushee said. He added that an investigation into the matter led police to believe Jewell was not feeding the animals sufficiently. Police first received a complaint in June about the animals’ conditions, Pushee said. Police, assisted by a veterinary technician from the state department of agriculture, tried multiple times to teach Jewell about proper animal care and humane treatment requirements. “These attempts at remedying the situation were unsuccessful,” police said in a statement. Several more complaints and follow-ups were reported to police starting in late September, Pushee said, urging police to take action on approved arrest warrants issued by a judge. Jewell was arrested on multiple counts of various animal abuse and neglect charges, police said, adding that the animals were taken from Jewell and placed in veterinarian care. She was released on bail pending her arraignment in February in Hillsborough District Court. Pushee said police suggest that a licensed and properly trained veterinarian be a regular presence at any horse owner’s property. “These animals aren’t like raising a dog or a cat in the house, it’s a different situation,” he said.